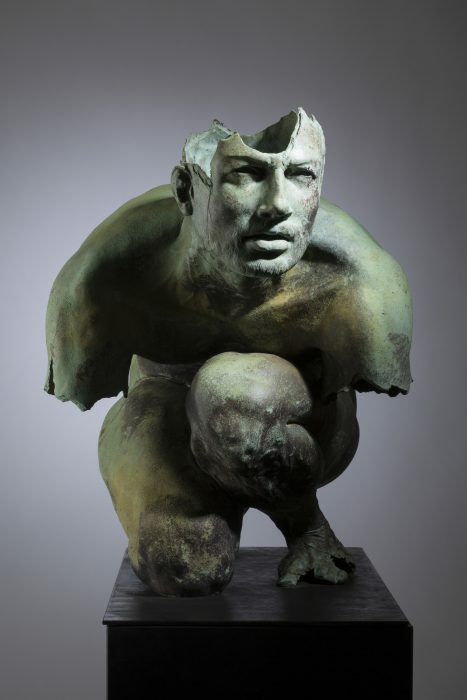 Jorge Marín (Mexico, 1963) is one of the greatest exponents of figurative contemporary art in Mexico. 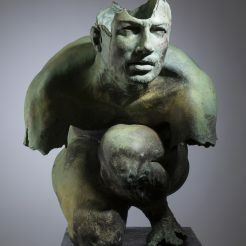 His career has been multifaceted, which has allowed him to cover different disciplines and work with different materials, such as ceramics and resin, however after a long and meticulous search, he chose to use bronze as a distinctive sign, which was ideal so that the hands and feet of his characters, as well as the textures of feathers, veins and fabrics, acquired the perfection of living matter. The plastic work of Jorge Marín has won wide recognition nationally and internationally. He has dabbled in different sculptural dimensions from miniature to monumental sculpture. 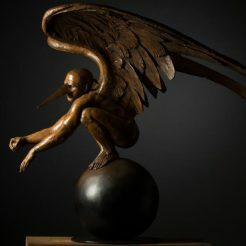 In the public space, it has generated an unprecedented dialogue between the work of art and the viewer, who complicit in a spontaneous and playful game, appropriates a pair of wings and coexists with his fantastic characters. During his career, which amounts to 25 years of work, he has participated in more than 260 collective and individual exhibitions. His work has been exhibited in museums and galleries in Europe, in countries such as Germany, Belgium, Denmark, Spain, France, Hungary, England, Portugal, Turkey, Azerbaijan, Romania and Latvia; of America as in Canada, Costa Rica, the United States, El Salvador, Guatemala and Panama; As well as from Asia where he has been in China, Singapore, Indonesia and Kuwait and in Africa with a presence in Egypt. ‘Boreas The North Wind’, Monterrey, Mexico. ‘Boreas. The north wind’, Monterrey, Mexico. “El Cuerpo como Paisaje” en Lieja, Bélgica. “El Cuerpo como Paisaje” en la Comisión Europea Bruselas, Bélgica. “El Cuerpo como Paisaje” Casa Redonda, Chihuahua. 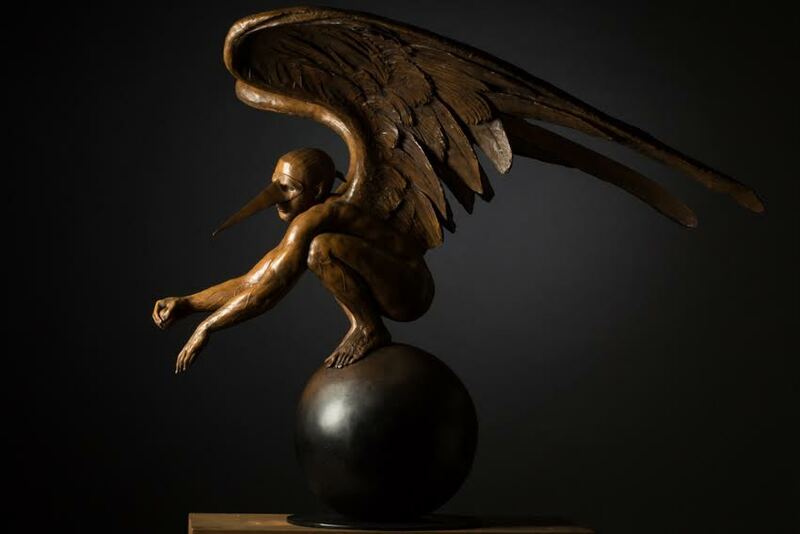 “Alas de la Ciudad” En el Festival Internacional de Campeche. “El Cuerpo como Paisaje” Torreón Coahuila.